The source of Rio Blanco is Laguna Sucia, which collects water that has been fed into Laguna de los Tres by its glacier. The river eventually joins Rio Electrico and it is possible to trek along Rio Blanco from the Rio Electrico Bridge. 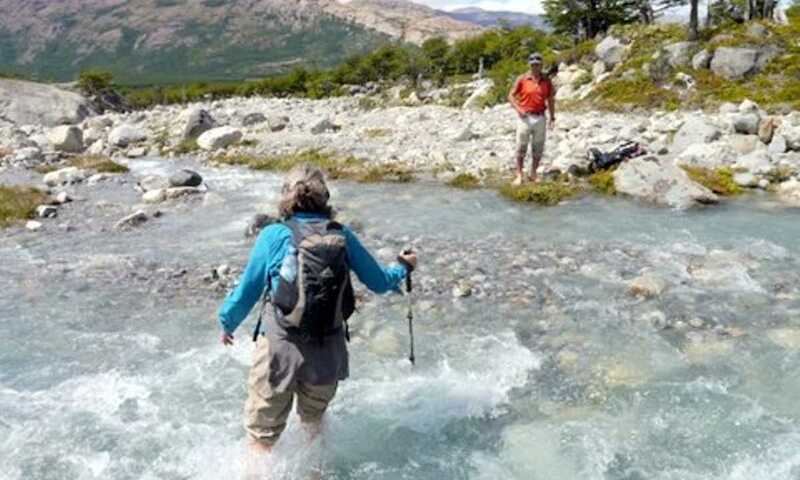 You can also trek beside this river on the day trek to the famous viewpoint at Laguna de los Tres from El Chalten, and it flows between two Fitz Roy base camps: Campos Rio Blanco and Poincenot.